We here at netwise understand the need for a high quality internal IT Infrastructure, as it is the basis around which the company is driven. We have seen first hand that over time more and more industry's becoming dependant on IT Systems. We know we can build you an 'all singing, all dancing' website and make it found by appling search engine marketing techniques only to have your internal IT Systems may let you down! That is why we have formed a close partnership with The MCW Group, to allow us to point your company in the right direction when it comes to IT and Network solutions. The MCW Group Ltd are a Microsoft Certified Solution Provider, thus ensuring the IT Systems provided by the group combine the newest technological advances essential to modern businesses with the high level of security you require; provided through an on-going auditing service. As IT Infrastructure becomes increasingly integral to our working world, the need for quality IT Consultancy services grows. netwise have seen first hand that The MCW Group Ltd can provide advice on IT Networks and in collaboration with your business create personalised solutions for both the simple and complex problems faced by you and your staff. The MCW Group Ltd can also provide a variety of technical training and management programmes. These programmes are designed to enable companies to confidently develop their future through their existing IT Infrastructure. They can also offer advice and provide expert knowledge in all PC Sales and PC Software Licenses. 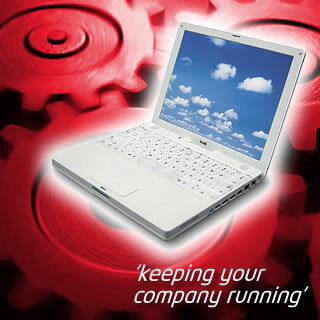 Please click here to find out more about the IT infrastructure services we offer.